Each year we ask the several thousands of Tarot students, enthusiasts, teachers, artists, designers, developers, collectors and authors who are engaged in the Tarot Professionals networks, such as Tarot Town, our Facebook group, Twitter, Tarosophy® Tarot Associations and Membership, to nominate and vote for the people, decks, books and media that have shone out through the year. This allows us, as a professional community, to recognise those who often go unrecognised, as it is said, “the worker is hidden in the workshop”. 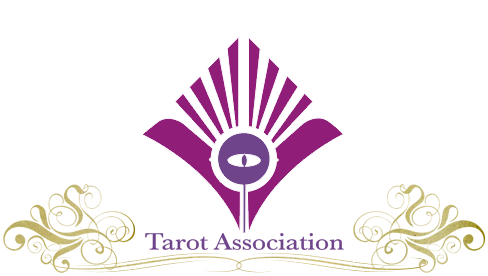 The contributions made by the Award winners to Tarot is often to ensure it is better considered, integrated, made more accessible, better educated, or re-invented for contemporary society. It is often a professional contribution or an academic one, but it always raises the level of Tarot towards its spiritual integrity. In 2012 we widened the categories and introduced a panel system, which will be further developed into a fully professional Academy-style system for 2013. 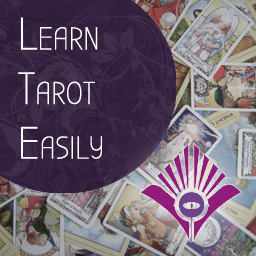 Janine raised the bar for professional Tarot training by teaching a daily online class in Tarot for 78 days to 600 registered students, of which 210 completed to gain a Tarosophy Tarot Diploma. This course, based on the book, Around the Tarot in 78 Days, took these 600 students from absolute beginners to inspired and confident tarot readers, with a skillset including the Opening of the Key, Elemental Dignities, the Celtic Cross, and many other innovative methods. One student went on to provide 78 free readings on the Tarot Professionals Facebook wall to masss acclaim. Throughout the course, Janine consistently gave hours each day, held live online video classes weekly, and engaged with every student in Tarot-Town and by personal email. Her preparation, materials, work and attitude were constantly praised by students. 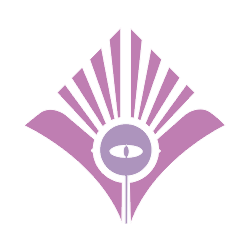 Kim, author of Tarot 101 (pub. Llewellyn) has this year produced an incredible amount of work, teaches regularly, and presented at the Tarosophy TarotCon (UK) alongside Barbara Moore and Mary K. Greer. Her experience, style and knowledge is unsurpassed for her age-group, and she brings unique elements into Tarot exploration from Improv and Roleplaying elements. Her work is of the consistent and professional quality that she was chosen this year to write the companion guide to the Tarot Illuminati, already a likely strong contender for Deck of the Year in 2013. Paul is widely-known within the experienced Tarot Circles and regarded for his wit, wisdom and plain-speaking. He presented an eloquent and passionate paen for Tarot at this years Tarosophy TarotCon (US) in Dallas. His Tarot work at TarotHermeneutics combines vast experience in many related fields, ranging from Surrealist poetry to Theosophy. As a long-standing supporter of many Tarot projects, his work is hereby recognised by Tarot Professionals and long may it continue to stretch and test the Tarot and all who encounter it. 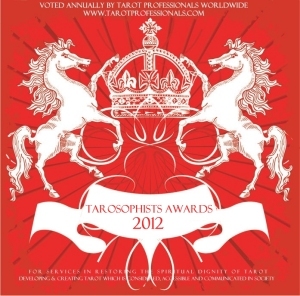 In open and popular vote, the Steampunk Tarot easily won the category for Best Tarot Deck for 2012. In addition to a wonderful companion guide and excellent design and art, this deck bridged into another genre and community to popular acclaim. As a result, it demonstrated how Tarot can provide a mutual language and open itself to other perspectives and communities. Its accessibility and popularity belie the amount of consideration and work which created this deck. It was also a deck that was created with advanced engagement with the audience, through a series of Blog and Facebook postings – a trend likely to continue into 2013 and beyond through social media. The Darkana Tarot by Janden Hale (Dan Donche) breaks the mould for Tarot and presents a stylish, hip, urban and contemporary deck for everyday use. It was funded by Kickstarter, a trend likely to continue into 2013, and although delayed makes it comfortably into our Awards for 2012. Imbued with the same slick humour as his ‘Inappropriate Tarot Readings’, we look forward to continued Tarot projects from Dan. Slightly pipping the Lenormand Revolution at the post, which here receives an honorary mention, the Gilded Reverie was a deck born in the fire of the Lenormand revival. Ciro Marchetti took great pains to guide his path professionally through the diverse voices and emerging research, to produce a deck that is perfectly suited to todays cartomantic use. His work with Tali Goodwin and Rana George to create a companion book, in a relatively short space of time, is also commended. Both the Lenormand Revolution and the Gilded Reverie Lenormand sold out in each of their printings to date, attested the interest in Lenormand that arose in 2012. This reproduction of Oswald Wirth’s work and deck, with foreward by Mary K. Greer is a labour of love and research. Although arriving late in 2012, it was in advance of its original 2013 publication date. We are delighted to recognise Tarot of the Magicians as Book of the Year for reviving another aspect of the “cards of antiquity”. This two-volume compilation of Tarot interviews conducted by Enrique Enriquez is the absolute snapshot of the diversity of divination in 2012. Lovingly produced by Camelia Elias at EyeCorner Press, this joins Tarology as another fantastic contribution to Tarot literature. Whiilst Tarot made many appearances in media across 2012, notably in the presedential election campaign of Vladimir Putin, it is the Tarology DVD which deserves our Award for the year. Created by Chris Deleo and Kimberlie Naughton, whilst centering on the work on Enrique Enriquez, it includes comprehensive interviews with many of the leading voices in Tarot (in the English language). Chris, Kimberlie and Enrique break new ground in this DVD and it is a deserving recipient of the Award. Although Tarot is often used as a recognisable symbol of the mysterious, in this gig poster, Ben Piché took the form of Tarot and repurposed it whilst retaining a recognisible Tarot structure. 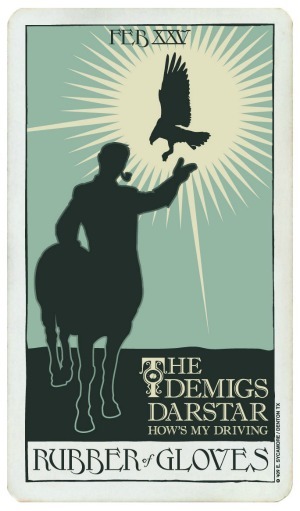 The poster is immediately seen as a Tarot card, yet conveys all the gig information at the same time. This “Centuarian Falconer” provides an arresting image of Tarot in popular culture over 2012. The Pinacoteca di Brera in Milan receives our award for Institution of the Year for their exhibition of the Sola Busca Tarot, the oldest complete Tarot deck in the world. In making available for viewing this important acquisition, the Gallery truly deserves this recognition. 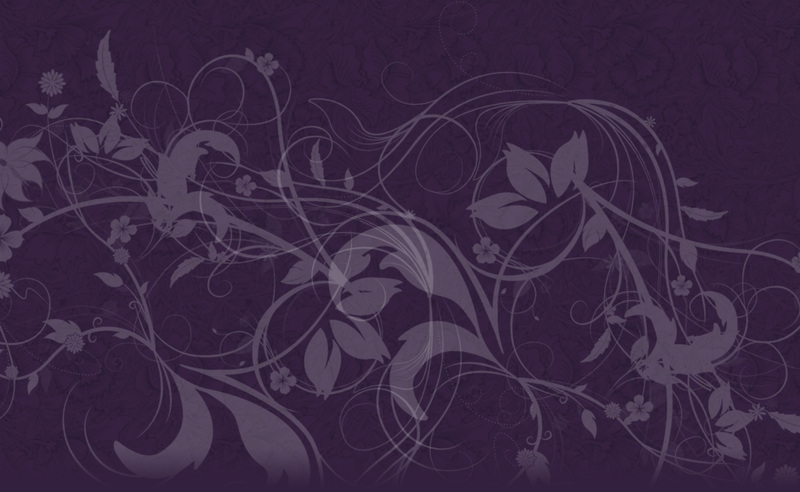 Their exhibition runs 13th November 2012 – 17th February 2013.